The City of Healdsburg is seeking a dynamic, motivated, and hardworking professional to join its fast-paced Community Services team. 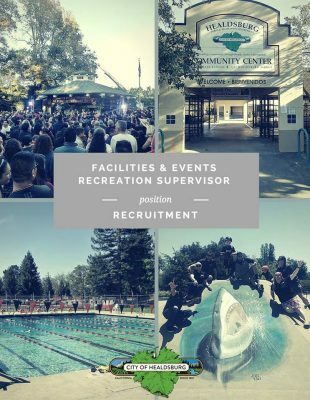 This full-time position will focus on community special events, oversee operations of the Healdsburg Community Center, manage the City’s aquatics program, and coordinate the use of a variety of recreation parks and facilities. The recruitment period ends July 20.